When Roman Abramovichreceived planning approval from Hammersmith & Fulham Council, it looked like plain sailing for the huge redevelopment. There was even a provision of £22 million in the plans for improvements to the local facilities and infrastructure. Although there were some objections when the plans were granted, most local people accepted that the stadium development was going ahead. Everyone except for Mr. Crosthwaite, that is. Once he realised that a walkway outside the new stadium, being built close to his house, would affect his quality of light – and life – he filed his Rights of Light objection. Effectively halting the giant project in its tracks. Mr.Crosthwaite argued that the light coming into his house, where he’s lived for fifty years, would be compromised by the walkway, adversely affecting the quality of life for himself and his family. He pointed out that the walkway would seriously affect light coming into their living room and bedrooms, having an ‘unacceptable and harmful impact’ on their day-to-day living. Despite being offered ‘a premium more than the market rate’ by Chelsea Football Club – rumored to be around £1 Million of compensation - Mr. Crosthwaite, has refused all entreaties to rethink his objection. One of the contentions is that Chelsea’s plan to create nearly 17,000 hospitality seats is causing the encroachment onto Mr. Crosthwaite’s light. Hospitality seats take up more space than ‘normal’ seating, which is why the stadium is planned to be so vast. The argument is that, if Mr. Abramovich scaled the hospitality seating back to an acceptable number, for instance, Arsenal’s 9,300 hospitality seats, the stadium would no longer affect Mr. Crosthwaite’s light. Which would mean the build could go ahead. However, it appears that the Russian bear is in no mood to compromise. Mr. Abramovich has petitioned Hammersmith & Fulham Council to compulsory purchase Mr. Crosthwaite’s house. 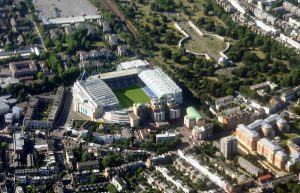 If this was to be granted, Mr. Crosthwaite’s Rights of Light could be negated in favour of the ‘beneficial regeneration’ the Chelsea Stadium redevelopment would bring to the local area. These would include £6 million of educational and personal development programmes, which would involve local Primary and Secondary Schools. They would be offered Science, Maths, English and Technology lessons as a result. In addition, the Football Club has proposed plans for ‘community engagement’. Part of this would see 3,000 seats in the new stadium being allocated to local residents. There would also be nutrition education and exercise sessions. All of which make a strong case for beneficial regeneration to a cash-strapped council. Until the result of Chelsea’s compulsory purchase petition is decided, no building work can go ahead on the massive redevelopment. The Club are not willing to press the ‘go’ button and start spending millions on the build. If there’s the slightest possibility of Mr. Crosthwaite’s Rights of Light injunction being granted, they could find themselves significantly financially exposed. So, for now, the retired Banker is keeping the Russian bear at bay with his legislative stick. The question is, for how long? Although money is not necessarily an issue for man of Roman Abromovich's magnitude. Time will forever be an invaluable asset, and with right of light insurance, a lot of time could have been saved. If MrAbromovich applied for right of Light insurance the following would happen. Having decided upon the development Mr. Abromovich (the developer) would have had a survey done by a right of light surveyor, upon which a right of light report would have been made. This report would have stated which properties would be infringed by the development and if they had the ability to claim. Many may not have been standing for 20 years and so would not have a right, otherwise may have less than 50% of their light infringed and therefore do not have a feasible claim. 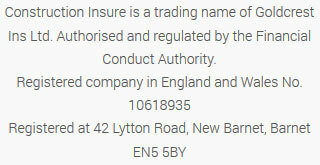 However, if a there are properties which have been infringed they would suggest the option of insurance. The insurers would then look at the risk and evaluate the probability of a claim, they would then put apportion the appropriate settlement value in case of a claim. This would mean that the developer would not have to worry should a claim arise as the insurers would cover the cost of the settlement as well as the legal fees and even the possibility of a diminution in value of the development. Lastly, as the insurers specialise in right of light of insurance they would create a legal argument which would be used if the client was not accepting the settlement value. However, as the limit of indemnity is the value gross development value it is highly unlikely that the insurer would not have apportion a correct amount for settlement. Ultimately the insurance will be a minimal cost in the event of a claim saving the developer millions as well as more valuable commodity, time.